As part of the Warth Mills Project, a group of refugee writers in Manchester shared their experiences through storytelling, with the help of a creative writing workshop run by the WEA. Here, we speak to course tutor, Athena Mohammadi, and publish some of the writers’ incredible work. There are 68.5 million people in the world who’ve been forcibly displaced, according to the UN Refugee Agency, UNHCR. Each day, over 44,000 more are forced to flee their homes due to conflict and persecution. It’s clear that the world is facing the biggest refugee crisis since World War Two. 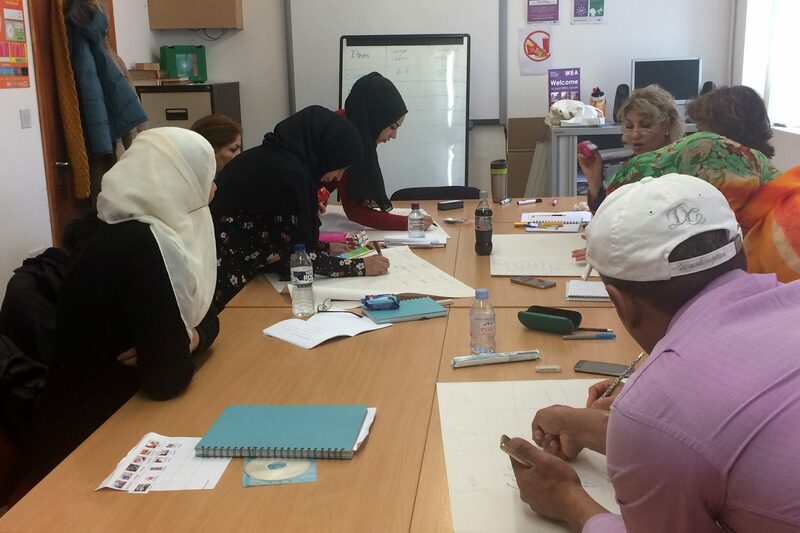 We were thrilled and humbled to work alongside the Workers’ Educational Association (WEA) – a charity that runs a weekly creative writing workshop, here in Manchester, that encourages asylum seekers and refugees to share their experiences through storytelling, whilst improving their language skills. Classes meet once a week in term-time. Each group of 12 students includes people from Iraq, Egypt, Afghanistan and other countries, who are in the UK for many different reasons. “There is a friendly atmosphere where people can feel relaxed and comfortable, make friends, share their problems, and help each other as much as they can,” says tutor, Athena Mohammadi. In the workshop, students start by learning new words and grammar points, to improve their language and storytelling skills. Then they begin to write their own stories, explaining what happened to them in their home country, their reason for leaving, what they like about the UK, their hopes and expectations, and how to cope with their problems. “They end up being more optimistic about their future,” says Athena. To help develop their own stories, students discussed the experiences of different people who lived in the UK as refugees – including some of the men who were interned at Warth Mills in summer 1940.